1 Contend, O LORD, with those who contend with me; fight against those who fight against me! 4 Let them be put to shame and dishonor who seek after my life. Let them be turned back and confounded who devise evil against me. 8 Let ruin come on them unawares. And let the net that they hid ensnare them; let them fall in it — to their ruin. 11 Malicious witnesses rise up; they ask me about things I do not know. 12 They repay me evil for good; my soul is forlorn. 14 as though I grieved for a friend or a brother; I went about as one who laments for a mother, bowed down and in mourning. 17 How long, O LORD, will you look on? Rescue me from their ravages, my life from the lions! 18 Then I will thank you in the great congregation; in the mighty throng I will praise you. 19 Do not let my treacherous enemies rejoice over me, or those who hate me without cause wink the eye. 20 For they do not speak peace, but they conceive deceitful words against those who are quiet in the land. 22 You have seen, O LORD; do not be silent! O Lord, do not be far from me! 23 Wake up! Bestir yourself for my defense, for my cause, my God and my Lord! 24 Vindicate me, O LORD, my God, according to your righteousness, and do not let them rejoice over me. 26 Let all those who rejoice at my calamity be put to shame and confusion; let those who exalt themselves against me be clothed with shame and dishonor. 28 Then my tongue shall tell of your righteousness and of your praise all day long. Life can be difficult and painful and a crisis can overwhelm our ability to focus on anything beyond the anxiety and suffering of the present. The psalms speak from the height and breadth of human emotion and experience. They cry out to God to attempt to reconcile the promise of a loving God who cares for and protects us and those times those times where it seems God has turned away or abandoned us to our enemies. Yet, against all evidence that God is absent or distant the psalmist cries out zealously for the LORD to intervene and fight for them against their enemies. The poet asks for God to take sides, to not stand with their oppressors any longer. To be the God who sees and hears and acts. To be the divine warrior who rouses the armies of the heavens to defend the righteous ones and to punish the wicked and evil ones. For some Western Christians the idea of praying for God to intervene in such an active way using such militaristic language may be initially troubling. We may be captive to the image of God which was used by many thinkers of the last several centuries who imagined god as an ‘unmoved mover’ who doesn’t become involved in the affairs of this earth, or we may imagine a philosopher’s god that remains stoic and passive but neither of these gods resembles the God portrayed throughout the scriptures. A god who refuses to judge and who is merely noncoercive love might work in a suburban life where we believe that we can secure our own future but the God of the psalmist is a God who helps those who are unable to deliver themselves. Who seeks justice for the oppressed of the earth who call upon their Lord and who hears their cries for God’s kingdom to come and God’s will to be done on earth as it is in heaven. One could imagine this psalm on the lips of many faithful people throughout the history of Israel and the history of the church: Martin Luther King, Jr. and many other civil rights leaders as they received death threats or were beaten as they attempted to peacefully point towards a more just society. 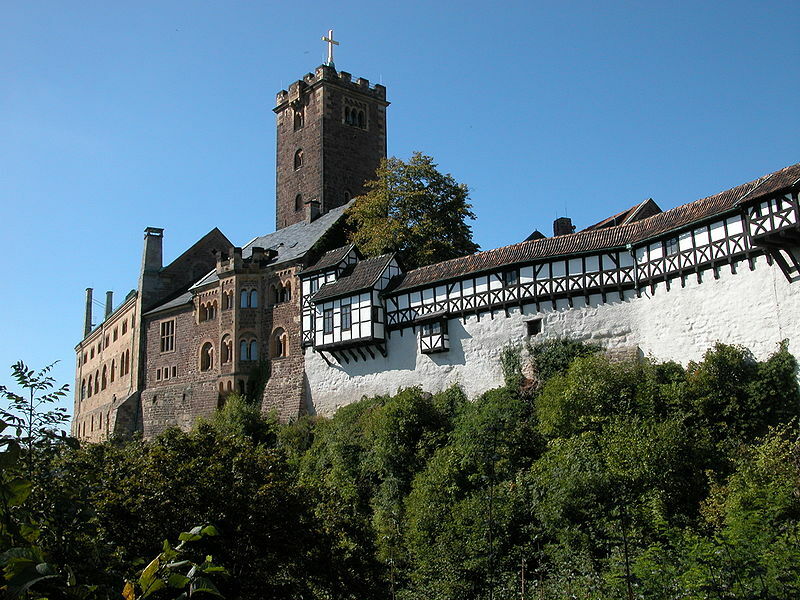 Martin Luther as he was hidden away at Wartburg Castle and felt like the world was falling apart around him as the gospel was misinterpreted by some and his life was sought by others. Jesus as he prayed in the garden knowing that he was going to be handed over to Pontius Pilate, beaten and then crucified. Jeremiah as he proclaimed the LORD’s judgment to the people of Judah and was met with scorn and persecution. These and countless others could easily have had these words upon their lips as they continued to trust in God in the midst of the evil and wickedness they saw in their own time and lives. Within this cry of the psalmist is the painful language of betrayal and the confusion it can cause in a life. The opponent set a trap for them and a pit for them to fall into, and the poet doesn’t know how to answer the malicious witnesses that have risen against them. From their perspective they have done good and evil has been returned to them. They attempted to treat the other with empathy and compassion and they have received mocking and disdain. The experience of this has left a deep pain upon the soul of the psalmist as they attempt to navigate these treacherous waters they find themselves in. The cry, “How long, O LORD” resonates as the poet waits for their deliverance. They trust that the deliverance will come as they zealously cry out to God, but they wait on the LORD’s response. They cry for God to awaken and stir, to draw near and to vindicate. They cry for justice in the face of injustice and God’s triumph over their oppression and oppressors. One of the gifts of the psalms is that they give us a model of people who lift up the cries of their heart before their God. This prayer comes from a place where others would succumb to doubt and hopelessness, but this faithful psalmist continues to zealously cry out for God’s intervention in their crisis. This entry was posted in Biblical Reflections, Psalms and tagged Book of Psalms, Justice, Pain, Psalm 35, Psalms, suffering, zeal. Bookmark the permalink.